Does Aloe Vera Juice Benefit Me? How Does Aloe Vera Juice Benefit? We have all heard of aloe vera but how exactly does aloe vera juice benefit us? It is probably best known for its uses in cosmetic and hair care products and is also found in gels, capsules and lotions. 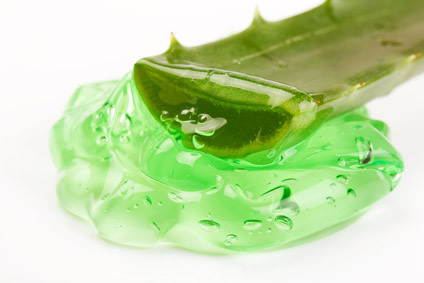 Aloe vera is also a powerful anti-oxidant, needed to fight and destroy free radicals. Free radicals are destructive compounds that are by-products of our metabolism and also found in outside pollutants. They can be linked to the causes of many illnesses including some cancers, as well as contributing to the aging process. What Exactly Is Aloe Vera? The aloe vera plant is a member of the lily family and is related to onions, garlic and asparagus. When the plant is fully grown, the juice from its leaves can be extracted, preserved and then used for its healing effects. Vitamins – mainly anti oxidant vitamins C and E, although it contains a whole range. Minerals – mainly magnesium, manganese, zinc, copper, chromium, calcium, sodium, potassium and iron. 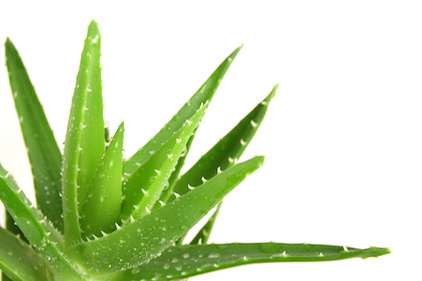 Amino Acids – aloe vera provides 20 of the 22 amino acids required by our body. It also contains 7 of the 8 essential amino acids that cannot be manufactured by the body. Saponins – these are substances that have a powerful anti-bacterial effect on viruses, fungi, yeasts such as candida and other such bacteria. Lignin – this is a substance that gives aloe vera its ability to penetrate deep into the skin. It contains natural anti-inflammatory, anti-bacterial and anti-fungal components and therefore promotes cell growth and healing. It works particularly well on skin when it has been damaged in some way, as it quickly begins the healing process by providing an anti-inflammatory effect followed by cell repair and regrowth. People that do not necessarily have a specific problem can also use it holistically. Those that take it report feeling calmer and less anxious and an overall sense of well being. Click back to more super foods.